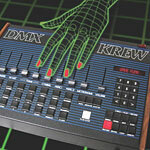 DMX Krew’s Edward Upton has been around a long time, but his best-known releases are retro vocal synth-pop. I much prefer his recent material, which is darker and mostly instrumental. In fact, a lot of the tracks on this new double-CD sound just like The Tuss. The first disc consists of last year’s Wave Funk Volume 1 LP plus bonus tracks that were previously download-only. The second disc compiles highlights from The Collapse of the Wave Function series, which was released on vinyl in 2004 and 2005. That adds up to 35 cuts of deep electro. When the big, rounded bass tones of “Parking Orbit” first kicked in, I knew I was in for a treat. Weird vocal squiggles remind me of AFX’s Analord tracks. “I Can’t Control the Feeling” has vocoder verses, but they melt right into the funky downtempo electronics. “Cherry Ripe” is superb as well. Analog synthesizers form a compact melody of minor chords. http://charlotteskitchendiary.com/wwwcharlotteskitchendiarycom.mdb Not all of these tracks are up my alley. “Mr Blue” is too rock and roll for me, with an overly dramatic power chord ending. The repeated chorus on “Get Down (To the Sound)” is more irritating than exciting. Thankfully, the brief, spacey “Otis” brings back the darkness I love. In fact, it reminds me more than a little of Dopplereffekt. http://charlotteskitchendiary.com/wwwcharlotteskitchendiarycom.zip The title track, “Wave Funk,” (also quite short) takes a page from dubstep with its wobby bassline. “Day Out” reminds me of classic Klein & M.B.O. “Jupiter Mission” is unique, and it’s one of my favorite tracks here. Bleeps cascade over a low bassline and a light beat. Aquatic effects really do call to mind low-gravity motion. The second disc, labeled “Prolapse of the Wave Function,” starts with the soothing tones of “Metronome,” then moves on to the hard funk of “Bad Sector II.” Upton continues to demonstrate his range with the abstract ambient tones of “Probability Waves.” Another highlight is “Reverse Tachyon Beam.” An acid line wriggles while chords seem to breathe over two separate basslines. 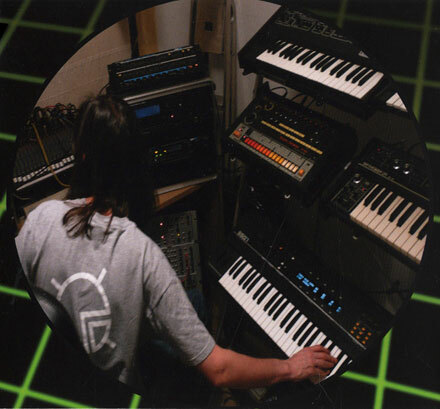 “Synchrotron Blue” is reminiscent of early Aphex Twin. Somehow the electronics are imbued with warmth. I imagine cables tangled like roots in a steamy greenhouse (think Theodore Roethke). “Space,” “Flanging,” “Garden Gate,” and “Thrilling” (originally released on two 7-inches) are Upton’s stab at dubstep, but they come off as rather formulaic. Luckily, the disc ends with three electro-IDM hybrids. I like the dizzying spring sounds on “Clock Works” and the traditional “crunchy” beats of “Byzantium.” The final track, “Funeral Procession,” is deep, old-school industrial with analog arpeggios, ominous bass, and filtered tones that rise and fall. It serves as a fitting tribute to Upton’s influences. This collection is positively massive, and multiple listens will certainly prove rewarding. Rephlex have bet big on downloads of late, but they must still see Upton as worthy of a physical investment. I’m impressed by how much he’s grown musically. As the CD insert illustrates, this is a guy who feels comfortable in a room full of machines.